Why Choose Us| Nationally recognized award winning New Hampshire Accident & Injury Lawyer | Manchester NH, Nashua, Concord, Portsmouth, Wolfeboro Top Rated Best Attorney. 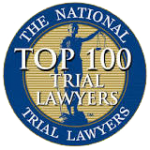 Call a nationally recognized, award winning attorney! If you are searching for a personal injury lawyer you in Portsmouth, Manchester, Concord, Wolfeboro, or Nashua, NH, you have come to the right place. We understand that you are looking for the best lawyer in New Hampshire to help you with your legal case and we appreciate you allowing us to present the many benefits that our firm can offer you. We are confident that we can fulfill all of your legal needs. The Law Offices of Paul M. Monzione, P.C., with primary offices in Portsmouth and Wolfeboro, and affiliated offices throughout New Hampshire, MA, and CA, has vast experience and knowledge in all areas of personal injury. Our assistance is regularly requested by other law firms around the country to consult with complex legal cases such as wrongful deaths, medical malpractice cases, auto accidents, traumatic brain injuries, defective products, class action law suits, and many other types of difficult personal injury and liability cases. The Law Offices of Paul M. Monzione, P.C., of New Hampshire, MA, and CA , is extremely well qualified and experienced in a wide variety of personal injury legal matters and stands ready to help you. From smaller and local personal injury cases, to some of the largest and best known nationally publicized legal battles in the USA, we have fought for our clients legal rights with overwhelming success. We take pride not just in our success, history, and ability, but in the personal attention and quality of the legal services we provide to each and every one of our clients. Our services are tailored to each individual client’s specific needs because we genuinely care about our clients and we make sure that we communicate with you regularly and effectively to ensure that you are well informed of the legal process and status of your case. We represent clients in both state and federal courts on a broad range of litigation matters from pre-suit negotiations, to trials, and appeals. 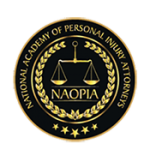 From personal injury claims to complex commercial disputes, our passion, professionalism, and commitment to our clients is second to none.